TG4’s programme Finné (Witness) will recount Louise Hannon’s groundbreaking story of being the first Irish trans person to take a case against her employer on gender discrimination grounds. TV 4 October, 2018 . Written by Peter Dunne . Wednesday October 10 will see the story of Louise Hannon reach television screens as part of Finné, the TG4 series which looks at the human side of big Irish stories that made the headlines over the past 40 years. 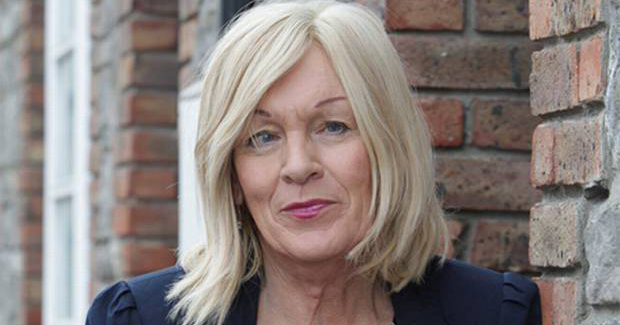 Louise’s case was particularly notable as she was the first Irish trans woman to take her employer to court for gender discrimination. For five years before her ultimate transition, Hannon had worked as a business development manager with a trucking transport company. Hannon had informed her company about her transition and that she was considering leaving as she didn’t believe they “would be comfortable with it”. The company asked her to stay, but proved to be not quite as welcoming as Hannon initially believed. She was asked to work from home and take business calls in her “male identity”, she was also told she would have to revert to that identity while meeting clients, along with being informed she could not use the female toilets when she did visit work. Finné looks at Hannon’s extraordinary journey when she decided to take her employer to the equality tribunal on the grounds of sexual discrimination. Louise also gives an honest, raw and often heartbreaking account of growing up as an Irish trans woman where she felt compelled to fill a role as an only son to a farming family. As happens with many of her generation, it was not until middle age that she began to step into her true identity – an identity she previously thought was impossible. Make sure to catch Finné at 9.30pm October 10 on TG4. 4 October, 2018 . Written by Peter Dunne .